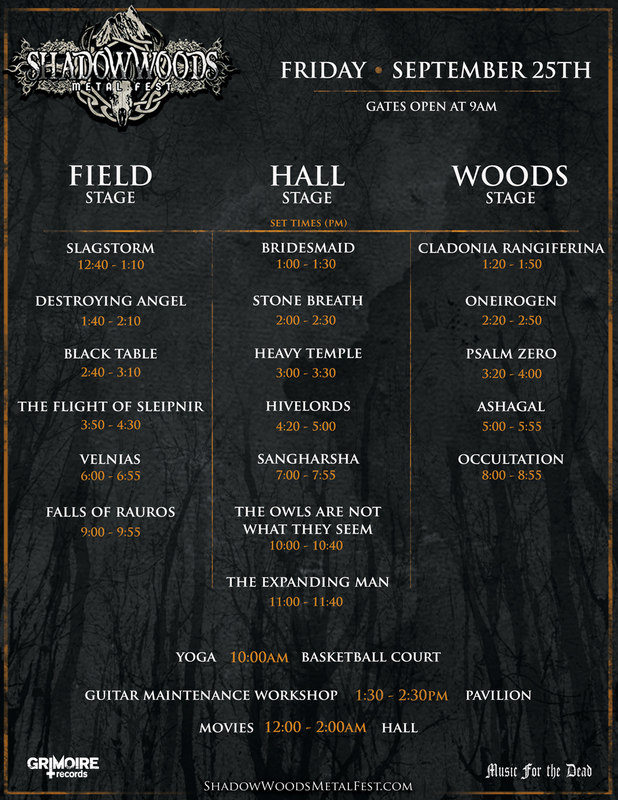 Set times for Shadow Woods Metal Fest! 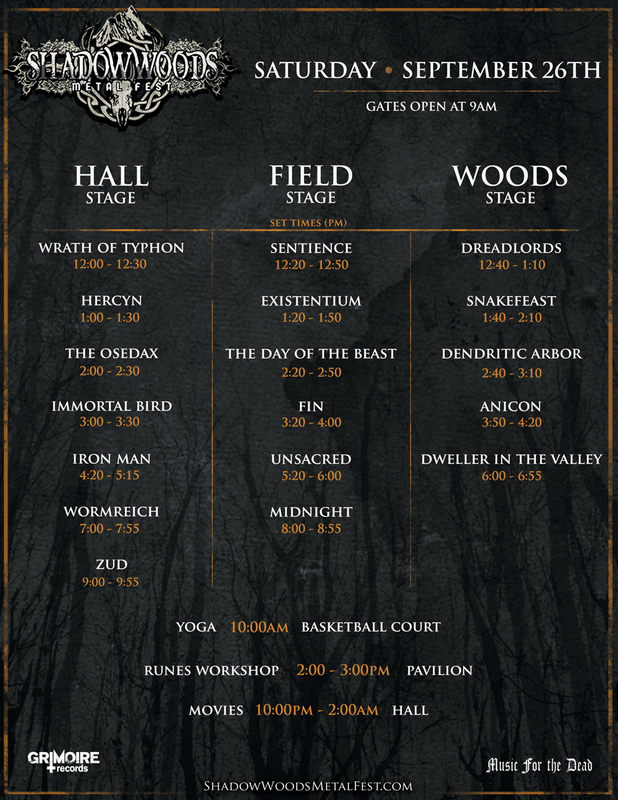 Now that single day tickets are available to Shadow Woods Metal Fest, It makes since to post the set times. Check out these lovely charts detailing all the activities designed by Brian Sheehan. Come out to probably the only edition of this fest ever, just 30 minutes north of Baltimore. It would be dumb if you missed it. Really, it would. You can get tickets here and the event page on Facebook is here. Tickets are only available in advance, no gate sales. There are weekend and day passes. Food vendors on site to keep your tummy full. BYOB for the drinks. This event is 21+.